The Bankwest Curtin Economics Centre’s (BCEC) new Small Business Survey 2017 reveals that payment delays from big to small businesses are impacting the vitality and growth prospects of WA’s small business community. BCEC’s latest report, The Engine Room for Growth? The Role, Performance and Future Prospects of Small Business in Western Australia, examines the evolution of the small business sector in WA, and the current challenges and opportunities being faced by small business owners. 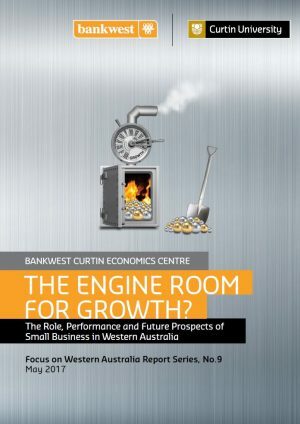 BCEC Director, Professor Alan Duncan, said the report highlighted the importance of the small business sector to Western Australia’s economy, which accounts for 41 per cent of WA employment and contributes almost $40 billion to the State’s economy – second only to the mining sector. “Our survey of WA’s small business community offers important insights into the challenges and barriers faced by small business owners. One such barrier is cashflow. More than half of small businesses in WA experience late payments from larger businesses for products and services, with one in five small businesses facing payment delays of a month or more,” Professor Duncan said. Report co-author and BCEC Senior Research Fellow Dr Daniel Kiely reiterated the significant impact late payments have on small businesses. “Late payments create unnecessary hardship and stress for small business owners, especially in such difficult economic times, and should be eradicated,” Dr Kiely said. The BCEC Small Business Survey 2017 also found that fewer than one in ten small businesses in Western Australia export products and services to international markets, but among those that do, more than one-third (37 per cent) sell to Asian partners. WA’s geographical location, particularly its proximity to Asian markets and alignment of time zones, creates unique opportunities for the small business sector to expand its export sales. “There is huge, untapped potential for WA’s small business sector to exploit the State’s natural advantages and grow its share of export sales,” Professor Duncan said. “Specific measures that enhance access to international markets for small businesses both in Perth and in regional WA, will generate a significant economic return”. “Our survey findings also highlight the significant pressure small business owners are under, with over 60 per cent reporting high to very high levels of stress,” Dr Kiely said. “Business-related stress can have a detrimental impact on relationships and individual wellbeing. It’s important that small business owners have access to adequate support and that external drivers of business-related stress are minimised. “Financial stress, including the unpredictability of income and cash flow problems, is the top driver of business stress with 1 in 4 businesses reporting very high stress levels,” Dr Kiely said. Over 55 per cent of businesses surveyed in Perth were established over 20 years ago. This figure is over 70 per cent for the Wheatbelt and Great Southern. On a scale of 0-10, on average, small business owners reported a positive (6.5) current position/health for their business. This was most positive for small businesses in education and training (7.7), followed by financial and insurance services (7.3) and health care and social assistance (7.2). Over 60 per cent of respondents from Perth reported very intense levels of competition. In the regions, only 51 per cent of respondents reported a similar level of competition. On average, 77 per cent of small business sales are made to customers ‘within the region’ of the business, with 16 per cent of sales made to the ‘rest of WA’. The number of international sales (4.2 per cent) topped the number of sales made to the ‘rest of Australia’ (2.4 per cent). Over one-fifth of small businesses that supply to larger businesses experience payment delays of at least 30 days. Around two-thirds of WA small businesses cite a lack of understanding of the availability of government funding and support as a barrier to their success. This lack of understanding is a key concern in over four in every five small businesses in construction and manufacturing. Small businesses regard tax and Business Activity Statements as the most burdensome area of regulation and compliance. Licenses and occupational health and safety were also identified as areas of compliance burden for the respondents. Almost 17 per cent of business owners report very high stress levels, with an additional 42.4 per cent reporting high stress levels. 1 in 5 business owners in the Kimberley report very high stress levels, and a further 48 per cent high stress. Nearly 63 per cent of female small business owners report high levels of business-related stress, compared with 56 per cent of male business owners. Financial stress, including the unpredictability of income and cash flow problems, is the top driver of business stress with 1 in 4 businesses reporting very high stress levels. Business-related stress among small business owners increases with the number of employees. Business-related stress has a more pronounced negative impact on relationships and health in regional Western Australia. As of June 2016, there were 224,920 businesses in WA, of which 97 per cent (218,150) were small businesses. 62 per cent (140,055) of all businesses in WA are non-employing. 35 per cent (78,095) are classified as small businesses and employ 1-19 employees, with only 4 per cent (6,841) of all businesses medium (20-199 employees) or large (200+ employees) in size. 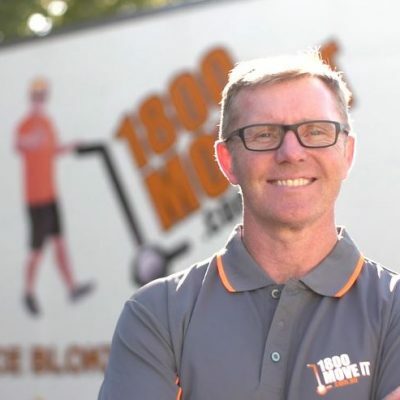 The construction industry hosts the greatest number of small businesses in WA (41,500), accounting for 19 per cent of small businesses in WA. In 2015, over 4.76 million people were employed by the small business sector nationally, almost 45 per cent of total employment in Australia. There are over 1.24 million people employed in WA. Of this, 512,000 people (41 per cent) are employed in small businesses. 304,000 (25 per cent) are employed in medium businesses, with 425,000 (34 per cent) employed in large businesses. 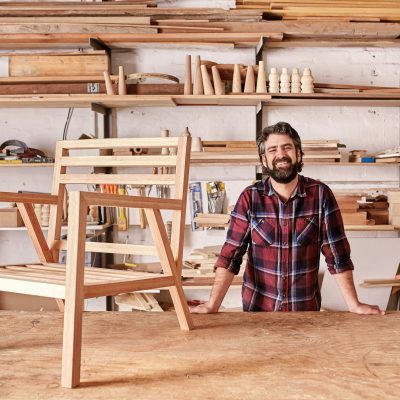 Small businesses contributed $39.7bn to the WA economy in 2014-15. This accounts for 19.7 per cent of WA’s Gross State Product (GSP). There are a number of ‘hotspots’ in terms of the growth in the number of small businesses in WA. Jandakot experienced growth of 35 per cent in the number of small businesses per 1,000 of the population between 2011 and 2016 and is WA’s only entry in the national top 30 growth localities over this same period. Only 54.3 per cent of small business who entered the market in 2013-14 survived to 2016.